I guess the hockey tribe has spoken. In a Survivor-style blindslide, the Chicago Blackhawks Tuesday voted longtime coach Joel Quenneville off the ice after ten years. The decision to part ways with the three-time Stanley Cup Champion coach seemed to be explicitly timed: on Election Day no less, burying the news on a day much of the news media wasn’t paying attention to anything outside of the election. Quenneville has been replaced by Jeremy Cotillon, who previously coached the Rockford Ice Hogs, the Blackhawks’ AHL affiliate and arch rival to the Chicago Wolves. The decision to fire Quennville by Blackhawks management was understandably met by scorn, from the media to former players to fans. 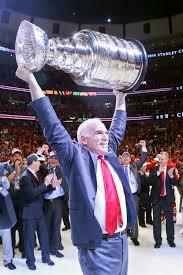 After all, Quennville helped put the Blackhawks back on the map after years of decline. He was hired to replace Denis Savard in 2008 and built the team into a champion and perennial Stanley Cup contender, winning their first title in 49 years in 2010 and repeating the feat again in 2013 and in 2015. But in the last two years, the Blackhawks have struggled, swept in a first-round playoff series by the Nashville Predators in 2017 and have yet to beat the upstart Vegas Golden Knights, who went all the way to the Stanley Cup Finals last season in their first year. They missed the playoffs for the first time in a decade and were off to another weak start this season. Ratings for Blackhawks games on NBC Sports Chicago dropped accordingly, finishing last season with a 2.4 household rating, down 28 percent from the 2016-17 season and down 40 percent from the 2015-16 season. In addition, many local sports fans have simply moved on, with Loyola’s basketball team and Sister Jean taking over top billing in Chicago’s winter sports scene. The team is signaling they may be on an impending rebuild – meaning more ratings erosion is on the way, if the Bulls’ and White Sox’s still-declining ratings are any indication. While it’s not known the effects of Tuesday’s firing would have on ticket sales (the Blackhawks rank 1st in the NHL in attendance), at least we had fun while it lasted. 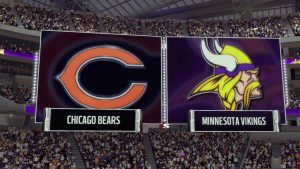 With a better team comes better exposure: the Chicago Bears’ home game against the Minnesota Vikings has been “flexed” to NBC’s Sunday Night Football on November 18, the NFL’s biggest stage. The move pushes out a scheduled Pittsburgh Steelers-Jacksonville Jaguars game on the same date as the latter team – who went to the AFC Championship Game last year is stumbling this season. This comes as local ratings for the Bears have surged thanks to the improved record (5-3) under first-year head coach Matt Nagy – up 34 percent from last year. Sunday’s game at the woeful Buffalo Bills earned a 26.5 rating on Fox-owned WFLD as the Bears crushed them 41-9. Despite the victory, some viewers complained about the telecast – notably commentator Darryl Johnston’s analysis, who many feel wasn’t fair to the Bears. Then again, no analyst has ever been fair to the Bears. In Buffalo, the telecast on Sinclair-owned Fox affiliate WUTV earned a big 28.1 household rating, but was the the lowest-rated Bills game in several years in the nation’s 53rd-largest market. Despite the dubious honor, the game was still ranked as the most-watched program in Buffalo for the week. Despite rumors long-time Jeopardy! host Alex Trebek might retire, Sony Pictures Television and CBS Television Distribution have said otherwise. 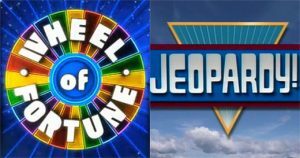 On Monday, Jeopardy and Wheel of Fortune were renewed for three more seasons through September 2023. Earlier, Sony renewed the talent deals behind both game shows, signing Trebek, Pat Sajak, and Vanna White through 2022. Generally, both are renewed in two-year increments, but this is the first three-year deal in recent memory. Meanwhile, Fox’s The Simpsons could be getting its own three-year renewal pact soon, provided things get worked out between “New Fox” and future producer ABC Studios – Sunday night’s episode hit a season high in the adult 18-49 demo (1.9) and ranked as the second most-watched entertainment prime-time show of the week. The Simpsons are in their 30th season, six behind Wheel and five behind Jeopardy. Simpsons parent 21st Century Fox is in the process of being sold to ABC parent Disney, excluding Fox, Fox News, and its O&Os. 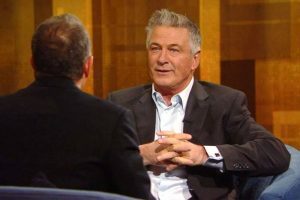 With fourteen freshmen series recently receiving full-season pickups, one is not: ABC’s The Alec Baldwin Show is losing its Sunday night time slot immediately, being shifted to low-HUT level Saturday nights beginning Dec. 2, where it air for the reminder of its run. Since it is being “burned-off” here, it does mark the season’s first casualty, even though ABC has not officially canceled the show. ABC is filling Baldwin’s old time slot with specials in the interim. Baldwin wasn’t expected to have an impact on ratings given the tough time slot (opposite Sunday Night Football) and the format, which resembles a Sunday-morning interview show – meaning no studio audience and no band. The program had averaged around a 0.3 rating in the adult 18-49 demo and around 1.5 million viewers – the lowest rating in recent memory for a Big Three network. Baldwin was even getting outdrawn by CW’s Supergirl and Charmed on some weeks. Whoopi Goldberg hosted a similar straight-interview talk show during the 1992-93 season in late-night syndication – with no band and no audience. The program was canceled four months into its run. Three seasons later, Lauren Hutton had a similar, unsuccessful show. Baldwin has made headlines in recent weeks, including assaulting a person over a parking space in New York last week and said “black people love me” in an interview.